For Rough & Dry Skin. 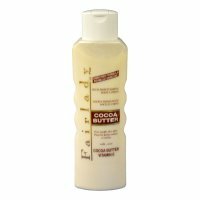 Contains Cocoa Butter & Vitamin E.
Gives Instant Relief For Even The Roughest Skin. An Excellent All-Over-The-Body Moisturiser & After Tanning Butter. Daily Formula For A Soft & Youthful Appearance.